Noel is an exceptional contact. Everything arrived so fast and we love it all. Every time I order from Historical Emporium I am totally satisfied. 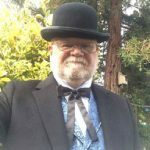 I produce Melodramas and Murder Mysteries ( Old West Melodrama Productions) in an 1900's train depot (Puffabelly's restaurant). We have been partnered in this for some 13 years. Love the costumes. Very well made my actors are very pleased. I only had one issue and t hat was because I did not read product description before I ordered so I had to send the item back. Not your fault but mine. Customer service is great. Products for the most part are as well. I have bought 4 pair of the preacher boots so far and the last pair I bought is the first one's that did not pinch on the left boot requiring me to tape a cotton ball to my foot to "train" the leather. After that they were fine. Oak Tree Farms who make that boot must have up graded quality control; good for them!! I ordered a Large based on the size chart but a Medium would have fit better. Marie in Customer Service, responded right away to a size question I had before placing my order. When trying to deal with another company, I could find absolutely no way to contact a real person and get help beyond FAQ's, so a point in your favor. Also, I needed my order quickly and was concerned about the indefinite time frame indicated on the website. Once again, Marie responded to my email immediately, giving me a more specific time frame that allowed me to place my order with confidence. The blouse arrived on time and was the perfect addition to my Clara Barton costume. Hooray! My only criticism is what I consider an excessive fee for expedited delivery. $36 for an order of $81 still seems unreasonable to me. I was amazed at the fast shipping. The quality of the product is amazing. Very pleased with the ease of ordering too. Sent wrong size pants in right size bag .. contacted them and the dispatched a correct size replacement within hours and even re-embursed postage back to them. Good transaction. I mis-measured, called your customer service and all was handled extremely well. Thanks for all!! I ordered a 4X vest and a 4X shirt. the vest was perfect. the shirt (by a different mfg.) was too big, but Gentleman's emporium sent me the right shirt. I had a problem with my card and bank so I placed the order by phone. Customer service was very helpful and took the order. I was very surprised the order shipped out t hat day and within a week I had my items ! I will be back again ! I loved the blouse I ordered. It was beautifully made of very nice fabric. But, the sleeves were about 5 inches too long and the bust was cut tighter than size measurements would indicate it to be. It had to go back, unfortunately, but customer service was great. Easy return and quick refund. I will shop with them again and give them another chance in the future.